And came down with a falling star." -David Barker from "My Child's Origin"
"Wings for angels, but feet for men." -Josiah Gilbert Holland from "Gradatim"
Angels, in the Bible and other ancient religious writings, are spiritual beings superior to man but inferior to God. Angels are usually represented as messengers between Heaven and earth, as members of the Heavenly court that sings the praises of God, and as guardians who look after individuals and nations. The wicked or fallen angels are the followers of Satan, or Lucifer, and were expelled from Heaven for disobeying God. In the New Testament many important events in the story of Christ are proclaimed by angels. Nine ranks of angels were described in writings that date from the 5th century A.D. The writings were originally believed to have been the work of Dionysius the Areopagite, but later scholars attributed them to an unknown author, whom they called Pseudo-Dionysius. The nine ranks are usually listed as seraphim, cherubim, thrones, dominions (or dominations), principaklities, powers, virtues, archangels, and angels. The seven archangels named in the Old Testament or other ancient religious texts are Michael, Gabriel, Raphael, Uriel, Raguel, Sariel, and Jeramial. Once there was a Golden Gatekeeper, and it was the end of a very busy day. 1427 new angels had been admitted into heaven; 1428 if you count The Littlest Angel. She forgot her name, so everyone just called her that. The Littlest Angel almost didn't make it into heaven before the Gatekeeper closed up. She needed to slide under the gate. Once registered, she found herself lonely, and homesick. There was nothing for a little angel to do in Heaven. She started amusing herself by being mischievous. She would do things like make noise where other angels were trying to read, spout out knock-knock jokes every chance she got, and she even played around the Artistic Angel while he was painting. She wasn't trying to be bad, she just wanted to have some fun. Because of this, the eleven special angels sang a song about everything the Littlest Angel had done to them. Partially through, they stopped for a heavenly choir rehearsal. The Littlest Angel arrived late, sang the wrong notes, interrupted the song three times, and tried to leave in the middle of the rehearsal. After the choir rehearsal, the eleven special angels continued their song, during which The Littlest Angel entered, played with their wings, told knock-knock jokes, and tried to fly. Everyone decided something had to be done, so the Littlest Angel was sent to the Angel of the Peace. On her way she encountered the Understanding Angel who talked to her. The Littlest Angel promised to be good if she could have her little wooden box from under her bed at home on Earth. Hoping for the best, the Heavenly Messenger went down to Earth to get it. After this, The Littlest Angel's behavior drastically improved, and the eleven special angels changed their tune. Everything seemed fine for a while, but then the Starry Scribe announced that a child was to be born in Bethlehem. "He is to be called Jesus, and will be king of all the Earth" reported the Starry Scribe. All the angels were to make gifts for the baby Jesus according to their skills and job in heaven. The Littlest Angel sang a song, and decided that she would give her little wooden box to the baby Jesus. When the other angels entered with their gifts, The Littlest Angel was ashamed of her gift, and tried to sneak it away, but God told her to stop, saying "Of all the gifts of all the angels, this one pleases me most. Its contents are of the Earth and of man, and my son is to be king of both." The angels then sang a song celebrating the birth of Christ. The Littlest Angel was eventually promoted to "First Assistant to the Understanding Angel," and later the Gatekeeper received an angel at the gate that seemed very familiar. A Small Angel that was scared, lonely and homesick, made the Gatekeeper know just where to send her. Lady Bre's Angels! Angels! Angels! Do you know an individual who is loving, kind, and caring? Nominate them for the special Society for Cyber Angels award. Adopt a Guardian Angel to Watch Over You! 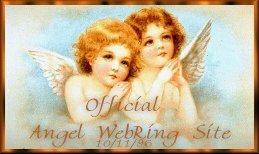 This Angel WebRing site is owned by An Angel on my Shoulder . This Angel Ring site owned by Jeanne. Please Email Jeanne with comments, questions, suggestions or links. May this Guardian Angel watch over all of you...Thanks for your creative talents! 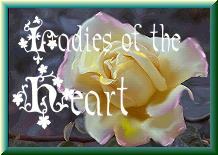 Thanks to Minnie for the wonderful background and beautiful angels! Thanks Becky for your wonderful angels! !